For decades, backpackers looked at the sinuous blue ribbons of waterways on maps and saw obstacles. Now, they see fun and adventure. Packrafts are lightweight, inflatable boats that roll up to the size of a beagle and weigh as little as five pounds. They’re maneuverable enough to run rapids as difficult as Class V and yet light and compact enough to carry in a backpack. Alaskan adventurers have been toying with similar rafts since the 1980s, but technological innovations and widespread distribution are allowing more people to use them. Now, packrafts have advanced to the degree that people are using them not only for trips over land and water but also JUST for running rivers, from hairy backcountry creek runs high in the Colorado alpine country to remote streams in the slot canyons of Utah. For a recent assignment, I profiled the largest packraft company, Alpacka, which has fueled a lot of the innovation in design and turbo-boosted this nascent sport. Based in Mancos, Colorado, the company’s local-centric business practices are also giving people good jobs in a small, rural Colorado town. Best perk: Employees can bring their dogs to work. When I visited, a pack of canines ranging from chihuahua-size to a Newfoundland patrolled the factory. 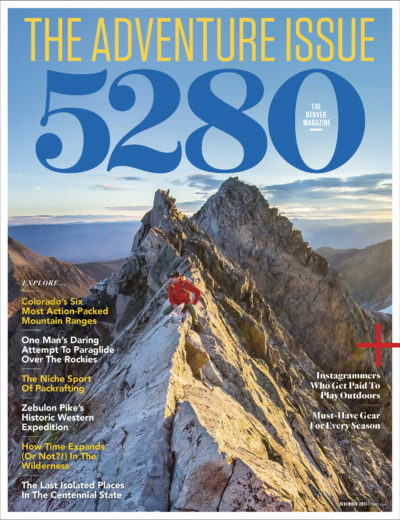 Read the story, “Backcountry Boating,” in the December issue of 5280 magazine.